Darren Tate - the producer behind some of the world's biggest dance acts including: Angelic, Jurgen Vries, DT8 Project, Orion, Citizen Caned & 8 Ball, and producer of club classics such as 'Let The Light Shine In', 'Destination', 'Hold Me Till The End', 'Winter', 'Echoes' and 'When The Morning Comes' presents his latest and greatest album 'Horizons 03'. Featuring fourteen feature packed singles that takes you on an eighty minute musical journey through cutting edge progressive house, to hands in the air club classics. The album features stunning vocal performances by Nicolai Prowse, David Patrick Carter, Fregoli's Daughter, Ally Hammond and Pippa Fulton. Darren Tate makes his much anticipated return and turns out yet another gorgeous masterpiece in the form of 'Tears'. 'Tears' is the third track taken from Darren's 'Horizons 03' alb.. Undeniably Mondo's hottest releases this year comes from trance giant Darren Tate, with his debut artist album 'Horizons 01'. 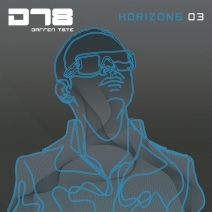 The full 80 minute CD features many of his massive tra..
Darren Tate's Horizons 02 (the follow up to the massive Horizons 01) is an explosive trance journey consisting of not just some of the biggest club moments of the last few years bu..
Darren Tate returns for another master class in pinpoint production and musical prowess. The legacy of his latest artist album ‘Horizons 03’ continues to send shockwaves across the.. Fans around the globe can breathe a sigh of relief as trance supremo and Mondo Records legend Darren Tate is back for 2016 with his brand new single 'Exhale'.Back to doing what he ..
After his relentless production regime in 2018 saw him delivering moments such as 'Timeless', 'Climb', 'The Gate' (DT8 Project) and '8 Bit Boy', 'Memento' (Jurgen Vries) and many o..